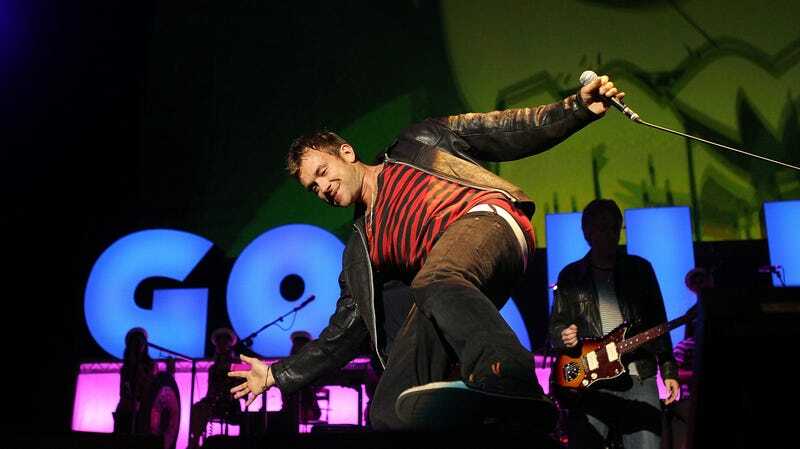 Gorillaz, the cartoon band that is somehow related to Blur’s Damon Albarn and Tank Girl’s Jamie Hewlett, spent the last several years offering only new developments to their complicated mythology and vague hints about when they would put out music before finally dropping Humanz last year, but the next Gorillaz album isn’t going to require nearly as much homework. In fact, we already know what it’s called and when it’s coming out: The Now Now, available in stores on June 29. That comes from Pitchfork, which says the news first broke thanks to a funky teaser website that you can see at this link. Zane Lowe has also confirmed the announcement, revealing that Albarn will appear on his Beats 1 radio show tomorrow to premiere a new song off of The Now Now. Again, we’re not sure why Albarn is doing this and not Murdoc, Russel, Noodle, or 2-D (the real band members), but they wouldn’t be Gorillaz if everything they did was as straightforward as this album announcement.